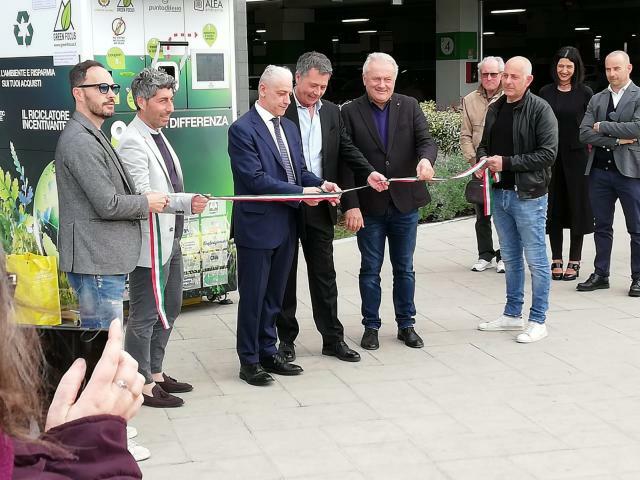 IGD – Immobiliare Grande Distribuzione SIIQ S.p.A., one of the main players in Italy’s retail real estate market and listed on Borsa Italiana’s STAR segment, announces that on Saturday, 6 April at 4:30 p.m. the first eco-compactor was installed at the Puntadiferro Shopping Center in Forlì (where IGD owns the mall). 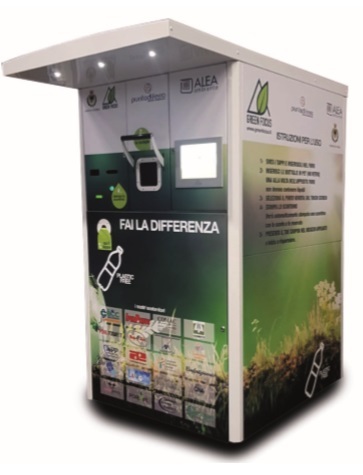 This is the end result of a local project involving the municipality of Forlì, Alea Ambiente (the municipal waste management company) and the company Green Focus. IGD collaborated on the part that involved the shopping center. The eco-compactor, an automated system for the collection and compaction of waste, will allow the citizens of Forlì to recycle high quality plastic, PET, water bottles and beverage containers, for which a specific recycling system is useful in order to avoid mixing lower quality plastic materials with the PET containers. IGD, committed to sustainability issues for years, decided to take part in the initiative as it shares the basic idea: dedicate your space and resources to improving recycling. The Company was also impressed with how many important local players, like the Consorzio Solidarietà Sociale, the Chamber of Commerce, trade associations (Confartigianato, Cna, Coldiretti and Campagna Amica, Confesercenti), the San Domenico Museums, along with a number of local companies and banking institutions, were interested in and supported this waste collection project. The eco-compactor will be placed near the entrance of the Puntadiferro Shopping Center, which attracts significant traffic flows, in a space made available inside the center. The system strives to incentivize the recycling of plastic by providing benefits like discounts, coupons and other reward systems that can be used in the mall stores. Forli’s Environmental Commissioner William Sanzani, the director of Alea Ambiente Paolo Contò, IGD’s director of Development and Asset Managemen, Roberto Zoia, as well as representatives of other organizations that supported the project, will be present at the inauguration of the first eco-compactor in Forli (other installations will be made over the next few months).